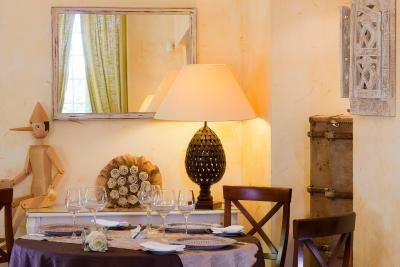 Lock in a great price for La Bastide Cabezac Hotel – rated 8.2 by recent guests! Bed comfy, quiet and location good. Food in restaurant excellent and staff very friendly. Noce and comfortable hotel in an excellent location. Large, clean room with double glazing. Restaurant for the evening meal was excellent. The rooms were basic but the price was quite high, we thought. We will return for the restaurant. The food was delicious and served in a relaxed outdoor area. The wine was excellent and my dessert out of this world!!!! Bed was comfy and room was fairly soundproof. Good towels and nicely appointed bathroom. Friendly staff and helpful staff that speak enough english to make the communication easy. Big room where we could put a travel bed for the baby and still have enough space to move around. The bed was comfortable and the bathroom was clean. The airco was good There is also a swimming pool. A very nice place! Excellent dinner, good breakfast and very nice service. Near the mysterious castles of the Cathar and the Canal du Midi, this 3-star hotel offers a relaxing and convivial atmosphere. 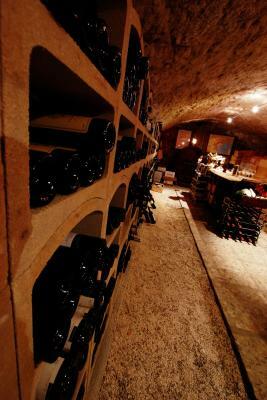 It features a swimming pool and fitness center, an extensive wine cellar and a gourmet restaurant in La Bastide Cabezac, located between between the plains of Narbonne, Minervois and the Montagne Noir. 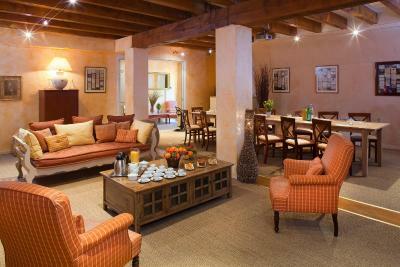 The hotel is composed of rooms and suites, styled and decorated in a traditional regional décor. All of the rooms are equipped with modern private bathrooms and offer satellite TV and free Wi-Fi internet access. Wine enthusiasts, beginners or advanced, are invited to meet local wine growers and to sample the wines of the Languedoc-Roussillon region. 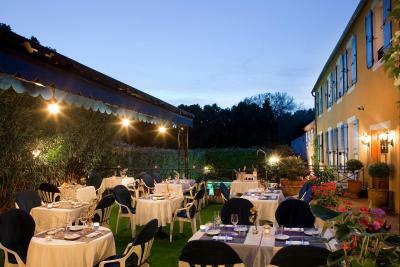 When would you like to stay at La Bastide Cabezac Hotel? Offering views of the pool, this room includes a mini-bar, a TV with Canal+ channels and a bathroom with a bathtub. 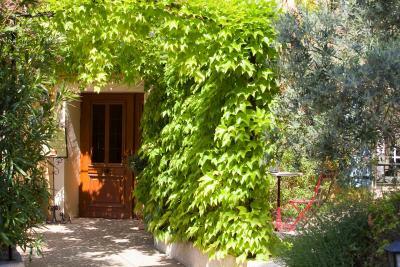 Decorated in a Provencal style, this 25-square-yard room includes a mini-bar, a TV with Canal+ channels and a bathroom with a bathtub. 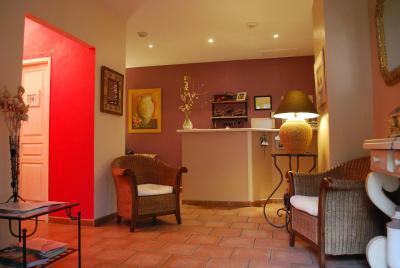 Decorated in a Provencal style, this room includes a mini-bar, a TV with Canal+ channels and a bathroom with a bathtub. 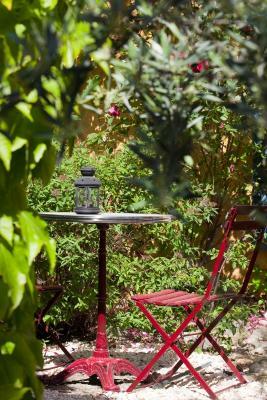 House Rules La Bastide Cabezac Hotel takes special requests – add in the next step! La Bastide Cabezac Hotel accepts these cards and reserves the right to temporarily hold an amount prior to arrival. Overcharged for breakfast which should have been included in the booking price. Several e-mails to request that they look into it and never had a response. Given up now. Rooms and bathroom old fashioned and a little dated. Shower was cold, most of the time. Outside eating area needed anti mosquito sprays/candles. Beer overpriced €7 for large beer . No snacks/ sandwich available for lunch either in hotel or within walking distance . HAVE to have own car . The wine at the table was 3 times the price of the same bottle for sale at reception 5 yards away. The meal was delicious and very well priced. The hotel is close to a major road and was noisy at night. 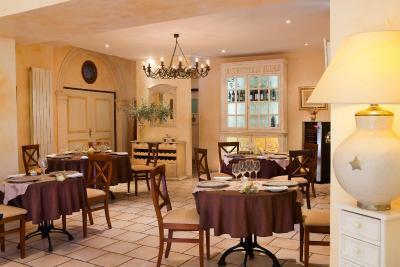 The hotel has a Bize Minervois Address it is well away from the town. Very, very tired. Requires a total refurb. Poor staff attitude. Faulty TV, faulty air-con, broken loo seat, 80’s decor, too much furniture in the room (Seats for 5!!!!). We had a decent evening meal in the restaurant. Full size croissants would have been good. Coffee was out of a machine and not a great blend. Very noisy fridge in room which I had to turn off in order to sleep. There were no tea or coffee making facilities in the room as mentioned on the website. Room very small and not matching the description. Similar for pool. Breakfast had all the basics needed but not more.